Many times we hear the term “eCommerce website” and have also thought about creating one for your very own business however there are many things that scare people when it comes to designing an eCommerce website. In this article we plan to discuss on the factors that stop people from getting into the selling online and miss out on a golden growth opportunity. This is one of the top reason’s why people stay away from an eCommerce website as they think it is too expensive and costly to maintain however it’s not exactly this way. If you have chosen the right design firm then you won’t face this issue, as a basic eCommerce website starts off at merely $400.00 and can go up to $2000.00. Now the exact price determined on the number of products and the content to be added along with the type of eCommerce solution that fits the business need. A professional online store design is what you need to show off all your products & services to the world and accept payments from them at the same time and Egochi tends to deliver the same at your given budget. Now, this is something to worry about as you would need it to manage your eCommerce website regularly example if a product is out of stock, it should be updated on the website to avoid any order taking for the specific product. Maintaining an eCommerce website is easy as Egochi provides you with easy online portal where you can update the product related information yourself or the best way to do it is to get a monthly maintenance package where Egochi professional keep the products updated for your business. The average website maintenance cost is $75-$200 per month depending on the type of website. There are coders, programmers or say the computer geeks available to maintain it all for you. Accepting card payment’s from your customer’s on the website, eCommerce website would also need a payment gateway which allows you to accept credit cards, debits cards etc online. This is a very helpful tool as it helps you to close the deal right on the website without the hassle of calling or mailing the payment. Once the customer makes the payment online the order details are then forwarded to the merchant and within 24-48 hours the payment is deposited in the merchants bank account. If you have no idea where to get a payment gateway or how to go about it, just let us know and we will get you rolled into one of the best payment gateways in the market. Egochi also integrates the payment gateway to your website, making it easy for your customers. As a business owner we get connected to our business and want people to feel about the products/services just the way you do and for this you need an accurate web design that helps you pass on that message to your online visitors. 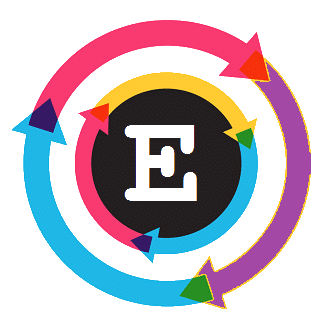 At Egochi, we understand your business and the story behind it before even designing it, once we know your vision half the job gets easy for us as we are able to implement the true image of your business the way you want and the way you like. An eCommerce website that speaks out to your customer’s and make them understand what you offer is what we do at Egochi. In short, trust your instincts and let us manage your eCommerce design. We deliver nothing but the best, as actions speak louder than words we assure a portal where you see results as only results matter.